Monday night I felt quite restless and couldn’t sleep. 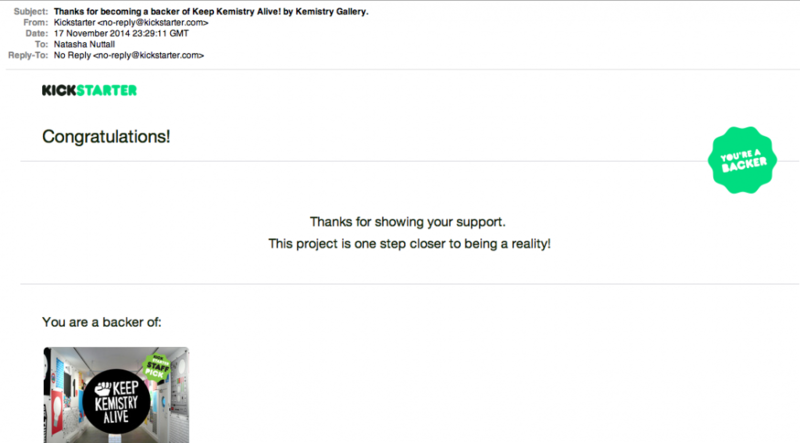 But at 11.29pm I felt much better – I became a backer of Kemistry Gallery’s ‘Keep Kemistry Alive’ kickstarter campaign. So what is Kemistry Gallery and what’s happening to it? So why is Kemistry important? So what will the money go towards? 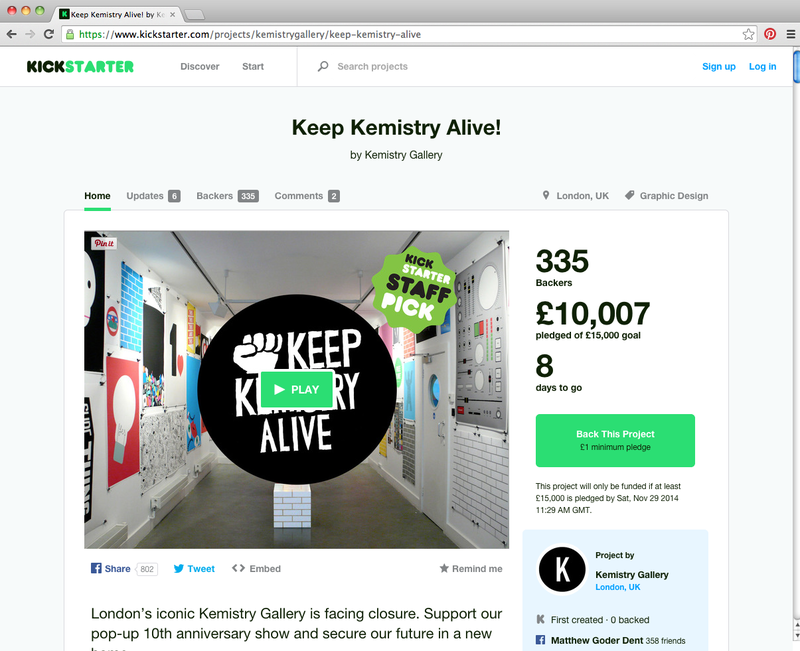 A pop-up exhibition to begin with: ‘Kemistry Gallery: 10 years, 60 works’ featuring the best work from the past 10 years of Kemistry. 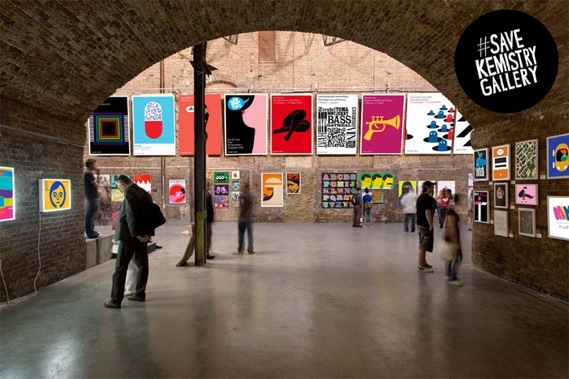 This exhibition/celebration will raise the profile and hopefully lead to Kemistry’s aim of being established as “the UK’s first centre dedicated solely to graphic art and design”. 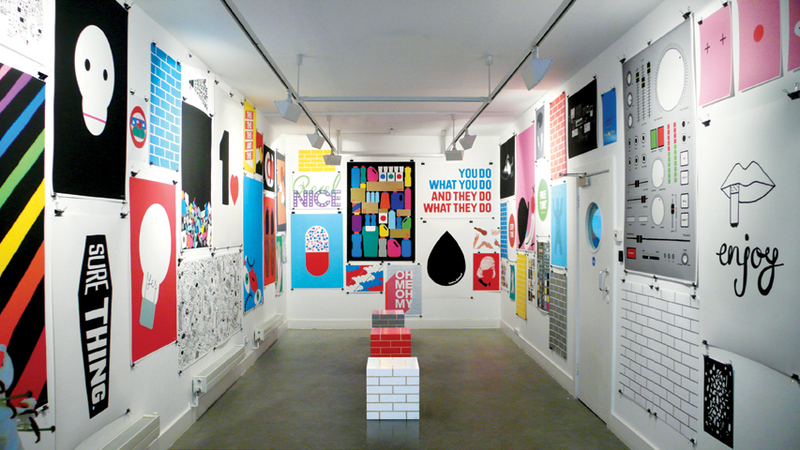 It’s an important part in the future of Graphic Design – education, inspiration and recognition can all be provided via this plan to create a graphics ‘hub’ as such. 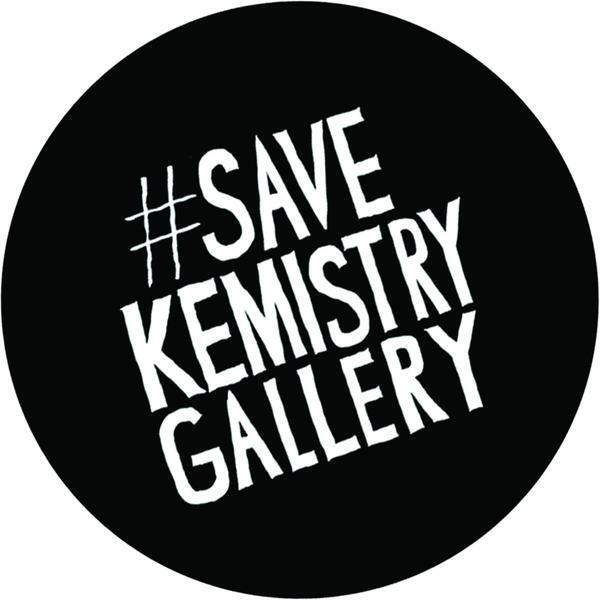 Spread the word on twitter too by hashtagging #SaveKemsitryGallery & lets all keep our #fingerscrossed for good news! I saw this the other day when on kick-starter and thought it was a really cool place – I’d never heard of it before?